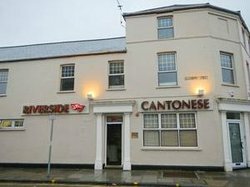 29/01/2019: Authentic Chinese restaurant with a very friendly pleasant atmosphere, with a casual dinning area on the ground floor, with more formal dining upstairs for larger groups. Toilets situated both on the ground floor and upper floor. A wide and good choice of starters, sides and meals on the menu, I didn't notice the dessert menu as I am not a dessert person. 16/01/2019: This is a small, family run diamond of a restaurant/ take away. Frequented mainly by the local Asian community, this place is as close as you'll get to really authentic Chinese food. A huge list of options with an additional "book" of options. The food is outstanding. By far the best Chinese restaurant I've been in. Importantly this isn't a high end restaurant - it's small but immaculately clean. Downstairs has a waiting area and just a handfull of tables, upstairs has 4 or 5 larger tables. Definately need to book and don't be surprised if you have to share a large table with another group. Drinks choice is very basic, cans of lager, coke, water etc. Not the kind of venue that has a wine list, and it's better for it.... P.S. huge portions of amazing cheap food ! 12/01/2019: Table of 5 including a 4 year old. Food was lovely, service was a bit slow, but was so tasty. Prices were £15.99 for adults and £7.99 for children under 9 for the all you can eat. We were charged £7.99 for our 4 year old even though she only ate some chips which I thought was a little expensive for chips! Overall the food was very nice. It did take ages to be served drinks, and the overall meal could have taken less time if the service was quicker. Staff were very polite though, not like in some of the reviews I had read beforehand. 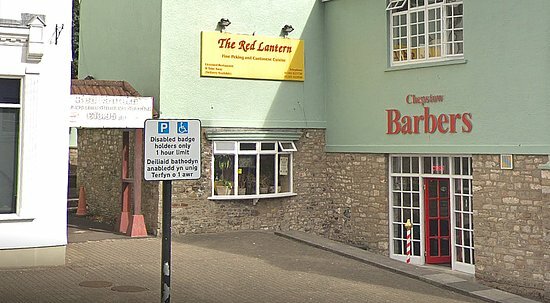 14/04/2019: I have not visited for some time as we no longer live in Llandaff - but the service and food have not deteriorated thank goodness. Staff were pleasant and could not have been more helpful - one of our party has a fish allergy and they were excellent in managing this. The shredded lamb starter was just amazing - as were the chicken satay and salt and pepper squid. An alternative to the peanut sauce was brought for my friend with the fish allergy. The mains were equally good - I had the shredded duck and it was excellent - could maybe have done with a wee bit more sauce but the duck itself - like the lamb starter - was tender and perfectly cooked - and so much of it! The sizzling steak and chinese curry were also pronounced excellent. My husband had the seafish noodles which he said while delicious were a little bland for him - but with the extra satay sauce they brought went down a treat. Service was excellent - attentive without feeling fussy. All in all a great meal out and we will not leave it so long before the next visit. 08/04/2019: The food and service was excellent. The shreded duck was fantastic, the kids loved the chicken fried rice and the salt and pepper ribs. Really relaxed and enjoyable evening. 30/03/2019: Visité aquí con la familia. 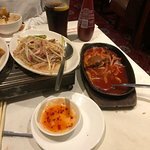 La comida estaba bien, pero hay mejores lugares para los chinos en Cardiff. 04/03/2019: (Escribiendo en nombre de mi novia). . . .
14/04/2019: Only ever attend this restaurant on a Sunday for the all you can eat buffet. The food is always fully stocked, even when all the tables are full. Good range of desserts, and they are quick clearing the tables so there aren’t plates stacked everywhere. One person in our party was a vegetarian, and they brought out vegetarian lettuce wraps, and even offered one main dish for them as well (such as vegetable curry, omelette).. The food is delightful and a must visit on a Sunday. Great value for money! 26/03/2019: I haven’t visited this very well respected venue for about 10 years. I’m not sure why it’s taken me this long. Lovely food, nice ambience and very good service. My Daughter and I shared Crispy Duck to start then a main each with rice. 2 glasses of wine and a spirit mixer. I’d say £40 was very good value. I certainly won’t be leaving it so long next time. 15/04/2019: Decidimos ir aquí después de un espectáculo matinal en el Nuevo Teatro. Hubo algunas dificultades para reservar el día anterior debido a una mala conexión telefónica. 05/04/2019: I really am so gutted I was looking forward to dining here. 20/02/2019: Had a amazing meal with my family. Couldn’t fault a thing, such a range to choose from. Soup and ribs were hot and delicious. Ho fun noodles are just out of this world, beef in black bean, chicken curry and fried rice were so tasty and hot. Service fast and friendly. Also the restaurant and toilets are spotless and you can see into the busy kitchen. Definitely going back soon. Recommend for families and couples alike. 27/02/2019: Second time we have eaten here and once again an excellent experience. A really exciting menu with Szechuan and Hunan dishes as well as many we have never heard of. Beware of the absolutely huge portions! With so many exciting dishes it's easy to over order, but we have failed to finish both our meals here. They will happily pack up the remainder for you and it's fine the next day. 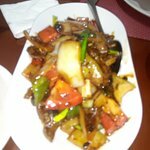 We found all our dishes excellent especially the sweet and sour fish and the beef with cumin. Some dishes are chilli hot as is normal with Szechuan/Hunan food, but none are over salted or msg'ed as is too often the case. Friendly waiter and waitress and complementary tea at the end of the meal. Now Ocean has closed its our new favourite in Swansea. 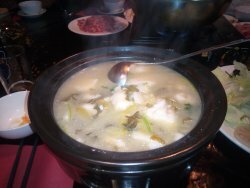 We must try the hot pots the Chinese students on the next table were having. 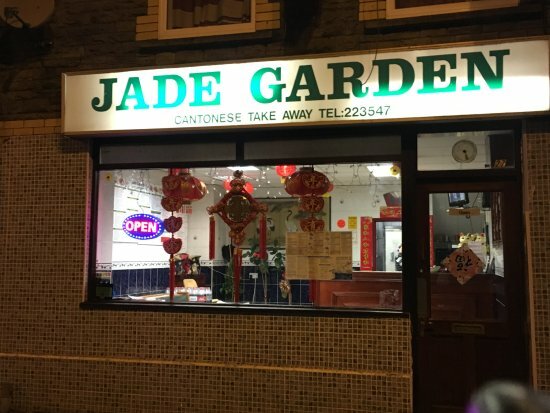 20/02/2019: We visited our friends in wales and my chinese friend recommended this restaurant which is so good. Shes chinese so it really made sense she knows where the good restaurant. Good for its money as well. 01/04/2019: Had a very nice meal here with family. It is not a buffet, you order from a menu but you can order as many times as you wish for a set price, so long as you do not waste food for which you could have to pay a penalty of £5. This is something that all buffet type restaurants should do in order to cu out waste, I do not understand why people keep on getting food and then leaving it on the plates which obviously means that they were full already. the food was freshly cooked each time and came to the table piping hot, all dishes were full of flavour and portions were good. Service was friendly and efficient. Decor is not fine dining standard although very clean but if you want good Chinese food at a reasonable price this place ticks the boxes. Recommended. 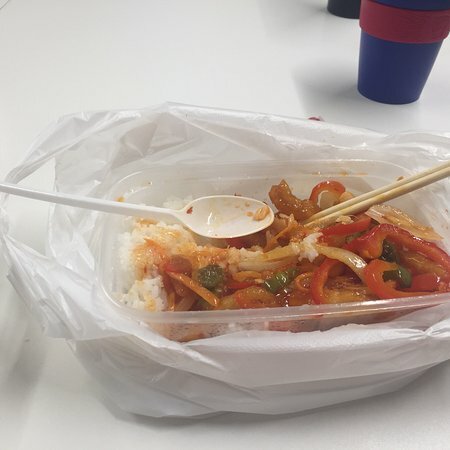 24/03/2019: phoned at 6-30 they said meal will be about hour and half phoned again 8-15 they said meal will be another hour.2 and three quarter hrs for a chinese takeaway.they are having a laugh.cancelled meal. 06/04/2019: Isn't it nice to see somewhere thinking outside of the box and shaking up the takeaway scene just a tad? 13/03/2019: Hemos comido aquí varias veces anteriormente, generalmente cuando estamos en la ciudad para un concierto o similar. El restaurante "sin tarjetas, solo efectivo", nos recibió con ese canto familiar. Estábamos entre unos 40 comensales, solo 4 de los cuales no eran chinos. Creo que habla mucho por la autenticidad de la comida. 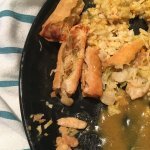 Teníamos 3 platos principales entre nosotros y un arroz frito con camarones. Me avergüenza decir que casi lo terminamos todo. Los precios son muy razonables y el vino no está nada mal para un restaurante chino. Una puerta de entrada realmente cerrada correctamente y mantener el viento fuera sería una gran mejora! 05/03/2019: Un hombre en el cercano Spar recomendó este lugar. 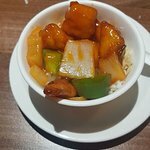 La comida china real, probé cosas de las que nunca había oído hablar, el personal explicó qué era, así que lo probamos, excepcional, el pollo frío y el repollo estaban deliciosos. Volvería definitivamente la próxima vez que las 6 naciones estén en Gales para el partido contra Inglaterra. 16/04/2019: Hemos estado en el Happy Gathering muchas veces a lo largo de los años y hemos disfrutado. Visitamos el fin de semana pasado para celebrar el cumpleaños de una familia y la comida establecida a menos de 25 por persona fue la primera vez para nosotros, y me temo que realmente no es genial. ¿Los entrantes estaban bien, los rollitos de primavera fueron similares a los que compras congelados? Los panqueques de pato eran buenos, pero los platos principales no eran, uno en particular, el cerdo crujiente, era incomible, algún tipo de recubrimiento seco y demasiado salado, ninguno de nosotros podía comerlo. Estábamos celebrando, así que no queríamos hacer un escándalo, y estábamos tan avergonzados por la cantidad de platos principales que pedimos que empacaran el resto pero no lo comimos. Es una pena, pero no volveremos. 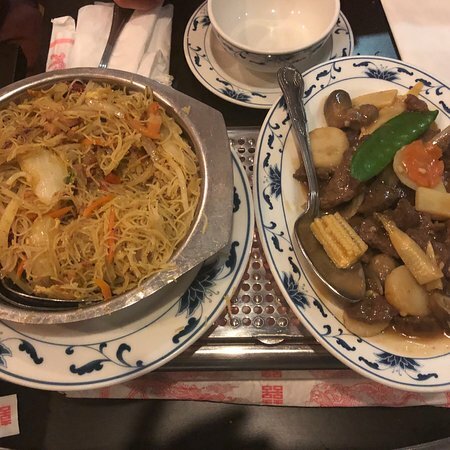 18/03/2019: Really good, I had sliced chicken with cashew and fried rice, wife had beef noodle, both were lovely. Couldn’t eat all of it so took it home with us, even better the next day. Staff were lovely.